Deanta White Primed Doors™ are all solid-core doors that are heavy and robust. They are finished with specially selected white-primer, to give the best solid timber look and feel. 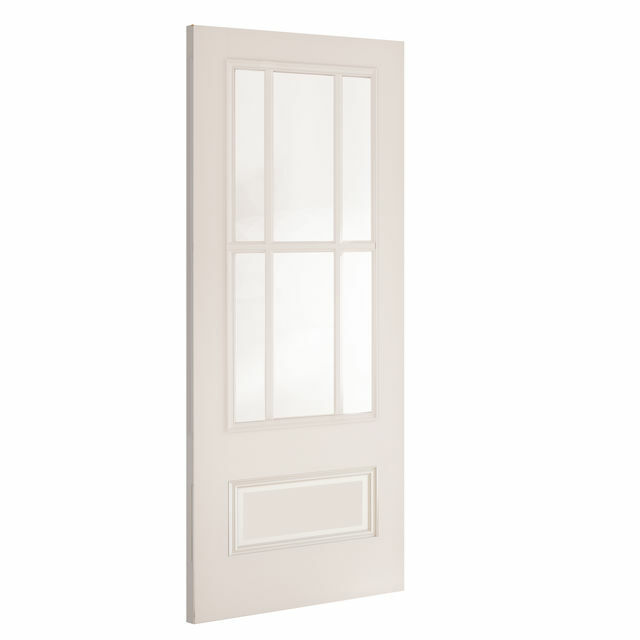 The new Deanta Fold™ White-Primed Internal Door Frame System can be used with these Solid White Primed Doors. Deanta Doors offer the thickest lippings available on the UK Internal Door market. Deanta White-Primed Doors are solid core for strength and stability, and have 18mm solid timber lippings around the entire door meaning that up to a total of 32mm can be taken equally off top and bottom to alter the height, and equally of both edges, to alter the width of any Internal White-Primed Doors, and up to 30mm for the FD30 White-Primed Fire Door version; Coupled with a wide range of both metric and Imperial door sizes, it ensures that a Deanta White-Primed Door can be found to fit into almost any size of door-opening. 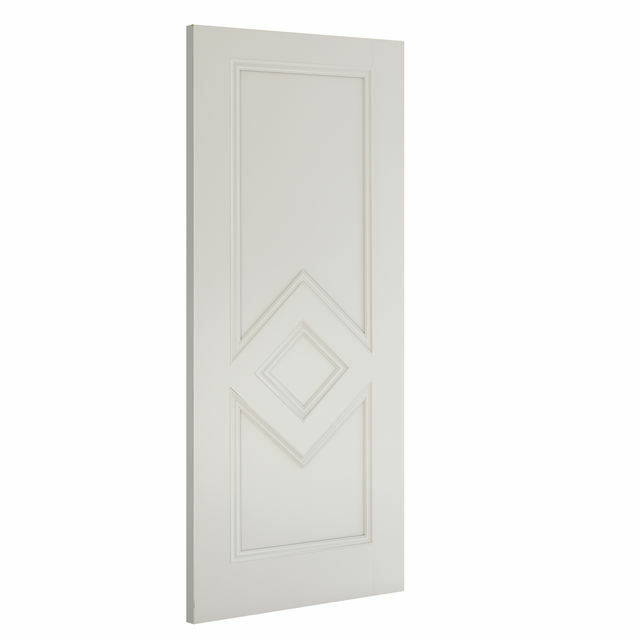 Deanta White-Primed Doors have a copy of the manufacturers instructions included in the packaging. - We cannot be held responsible for any variations in manufactured Deanta Internal White-Primed Door sizes, pattern, construction, grading, moisture-content, treatment, certi­fica­tion, knots, colour or grain. 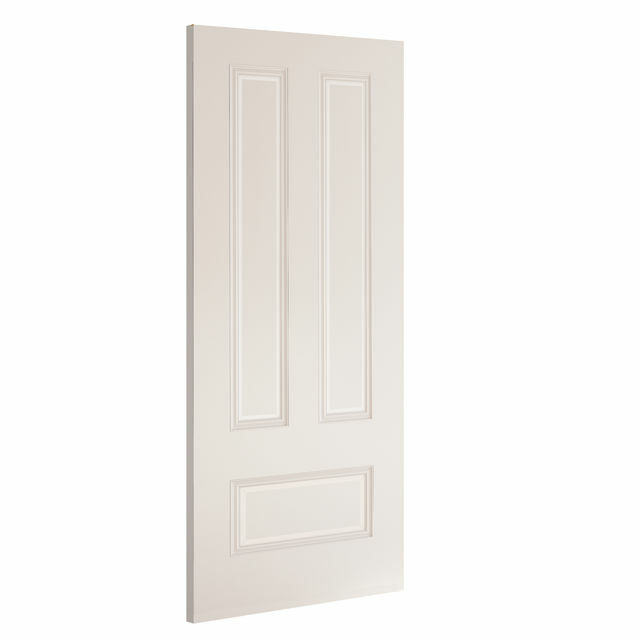 We cannot exchange any Deanta Door once work has commenced; Deanta White-Primed Doors are supplied as a Special Order. Payment - We can take Debit Card, BACS, Cash, Cheque or Credit Card payment online for Deanta White Primed Internal Timber Doors™. Carrier Delivery of White Deanta Doors is not possible. E. & O.E. see T&C - We do try to keep prices and specifi­cations of Deanta Solid White-Primed Doors correct, but mistakes can be made! Please let us us know if you do spot any errors - thanks.